Successful startups can teach data science teams a lesson or two. With the increased use of data in business, organizations are scrambling to mount data science teams. Because these teams are relatively new, there is no precedence on how companies should structure them, and many experts have differing opinions. Of course, the structure of the data science team will differ based on the company focus, team size, and the data itself. Companies, however, can take successful operational elements from startups and apply them to data science teams. Because most startups fail, experts have narrowed down operational elements that are more likely to give a startup a chance to succeed. Three of these elements include using Lean and agile methodologies, instituting a flat structure, and pivoting quickly. 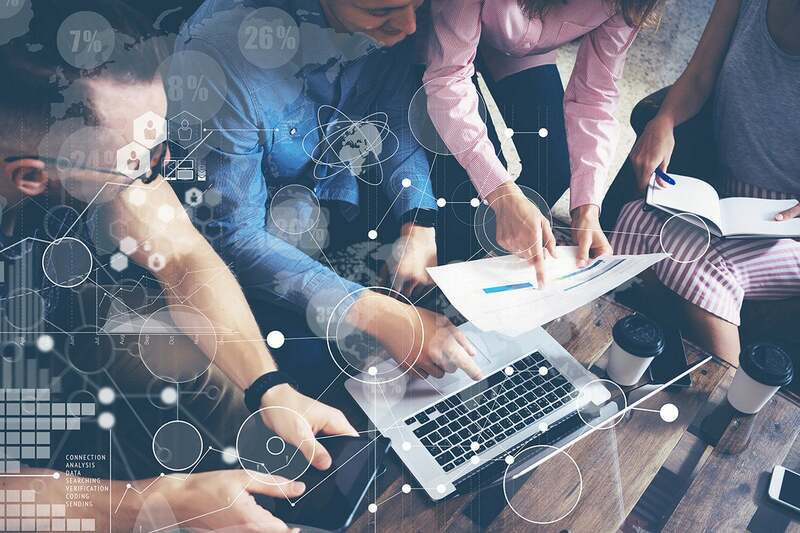 As data science teams emerge and grow, they can adopt these three tactics to increase productivity and operate effectively. Data science teams enacting agile methods is not necessarily new since development teams around the world use an agile approach for success. According to the Project Management Institute), 71 percent of organizations report using agile approaches sometimes, often, or always. And PwC found that agile projects are 28 percent more successful than traditional projects. Scaling data science and making the model operational are two challenges teams face. Often, data projects bring in devops teams and developers that need to work with the data science team, which can mean teams code collaboratively. The agile methodology works well in these scenarios, especially when models in production need engineering to deploy or multiple resources to support the model. Continuous integration and automated testing, two pillars of the agile methodology, work well with data science projects that combine multiple team members and ongoing work. Many startups opt for a flat structure to foster collaboration and creativity. A flat structure saves operational costs because there is no need for middle management figures, which creates a leaner operation. Startups enjoy the direct communication a flat structure offers, and decisions are made much faster. Often, employees are happier under a flat structure because there is far less micromanagement and it allows all team members to contribute equally. For data science teams, a flat structure can work well. Knowledge sharing is increased in this type of environment, which means junior data scientists can access the expertise of more senior members of the team easily. Furthermore, many data scientists are highly skilled technically, but they lack management skills, so a hierarchy may leave some team members without training or the leadership needed to improve. Usually, a manager with technical experience, sometimes a CTO, leads the data science team and keeps the rest of the employees on a flat structure. This leader can go between the business and technical sides of the company and has experience in management to help guide progress. Because each data science role is dependent on another data position, a flat structure works well. In the startup world, a lot can change overnight. Maybe a competitor beats you to market or funding doesn’t go through, there are many reasons why startups must pivot their project. About 7 percent of failed startups wish they pivoted when they needed to do so. The Startup Genome Report found that startups that pivot once or twice raise 2.5 times more money, have 3.6 times better user growth, and are 52 percent less likely to scale prematurely than startups that pivot more than two times or not at all. Changing course is the way the startup world works, and sometimes, data science teams must pivot as well. Because the world of data science is relatively new, many projects that teams work on have never been done before. Data teams might be working to predict a market action that no one has ever been able to predict or to look at customer churn in a way that no one else has. No matter the project, sometimes data science teams find out that it just cannot happen. There are many reasons why data science teams have to abandon projects; maybe the data just isn’t there, perhaps the model doesn’t work, or maybe the client’s needs change. Data teams cannot manufacture data that just isn’t there, and when that happens, it’s time to move on to another project. Whatever the reason, data science teams, just like startups, must be able to pivot or risk wasting time and resources. And, like startups, data science teams can take what they learned from the halted or failed project and put those lessons towards the next job. Now that startup failure reasons are becoming more apparent, data science teams can learn many lessons from them. CB Insights found the top 20 reasons why startups fail, and many of these lessons are applicable to data teams as well. The top three reasons: no market need (42 percent), ran out of cash (29 percent), and not the right team (23 percent) are especially applicable to data teams. If there is no business reason for the data project to exist—that is, no one will gain value from it—then, other than to gain experience, there is no reason to continue the project. If there is no funding, then, of course, it is unlikely the data project can proceed. And last, if the team isn’t functioning well together, the project is doomed from the start. Now that data science teams are becoming more prevalent, it’s important for them to learn the lessons startups already have to work together successfully. Vivian Zhang is the founder and CTO of the NYC Data Science Academy, and also is an adjunct professor at Stony Brook University. She is a data scientist who has been devoted to the analytics industry and the development and use of data technologies for several years.